A cancer diagnosis suddenly and irreversibly alters the course of a life. Not only must patients cope with the profound emotional upheaval, they are also forced to manage a long list of practical necessities. Living with cancer and battling the disease in the most effective way possible requires patience, planning, and support. It means taking things day-by-day and making some major life changes, while looking objectively toward the future and preparing for the inevitable changes to come. Get the facts and learn all you can from your doctor about cancer. Consider bringing along a loved one with whom you can review things after the appointment. Find out what type of cancer you have, where it is located, whether or not it has spread, the degree of treatability, possible procedures, various treatment options, and possible side-effects. Cancer treatments are notoriously hard on the body, so you will need to be as strong and healthy as possible when battling cancer. Start eating right, exercising as much as possible, and living a healthier all around lifestyle. Evaluate what and who is most important to you, and stop wasting time with anything (or anyone) you don’t need or want in your life. Appreciate the beauty around you, and become closer to those you hold most dear. Take the time to examine your recovery obligations and determine what’s important, and then make them priorities. 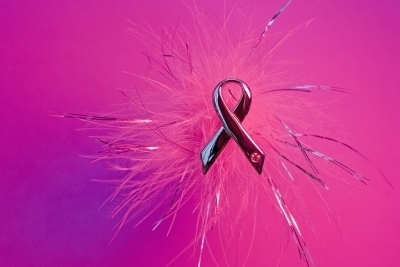 A cancer diagnosis can be confusing, frustrating, and emotional. Sit your children down and answer any questions that they may have. If you make it clear that you are happy to answer their questions then they will probably be more likely to voice any concerns they may have. Don’t depend upon your children too heavily; even if they are on the verge of adulthood, it is important that they don’t feel burdened. Of course they want to help you but try not to give them more than they can handle. Make sure that you keep a routine in your family life. Try and have dinner at the same time every day, make time to sit down and all enjoy a film together once a week. 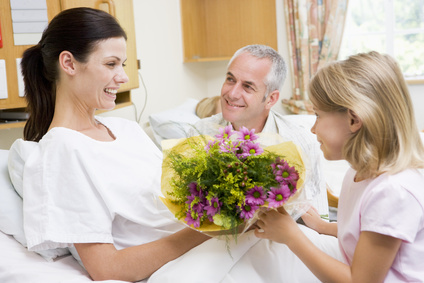 Regardless of what your cancer prognosis is, create some great memories with your children. Take pictures, write letters, and cherish every moment, because cancer can never take away the special time that you have spent together. If you find it difficult to communicate to your little ones in a way that is constructive, BetterHelp has tons of resources to assist. Reach out to a family counselor that specializes in this sort of communication. You will no doubt experience some serious physical changes. Don’t avoid them or pretend they won’t happen. Learn about prosthesis options and wigs, arrange for support when you are weakened by chemotherapy, and go out and buy some stylish hats and caps. Face the facts head on and be realistic about the future. At certain stages of treatment, this will be hard, and perhaps even impossible, but stay as active as you can throughout your recovery. Make a determined effort to continue living a normal life. Don’t let despair or self-pity become an excuse to withdraw from the things you love. Don’t let cancer consume your existence. Stay Active! Find a stress outlet. Better yet, find several. Keep a journal, start a manageable exercise routine, get regular massages, meditate, and anything else you can think of to help you take control of your mind and cope with the stress of recovery. Don’t push away those who offer help. As determined as you may be to beat it on your own, you will inevitably need support. Ask for it, accept it, appreciate it, and let it strengthen your relationships with loved ones. Understand that while a cancer diagnosis is certainly an imperative to start living a healthier lifestyle and taking more time to appreciate the things you hold dearest, it is not a death sentence. Take control of your life, cultivate positivity, remain determined, and don’t let a cancer diagnosis stop you in your tracks. Today’s guest guest post is by Sophie Webb of SEOGadget who blogs for Cancer Research UK providing support for Cancer sufferers.